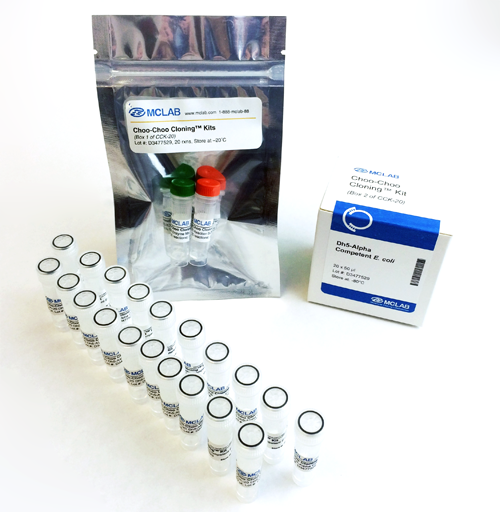 HoTaq™ DNA Polymerase is a hot-start Taq DNA Polymerase, which is a chemically modified form of Taq DNA Polymerase. 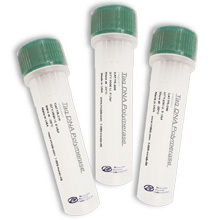 HoTaq DNA Polymerase is provided in an inactive state and has a minimum enzymatic activity at ambient temperatures. It will become active after 10 minutes heating at 95ºC. 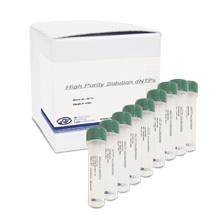 This prevents the formation of misprimed products during the reaction setup and the first denaturation step, leads to high PCR specificity. 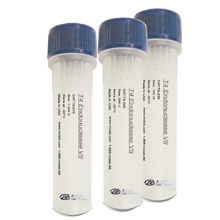 It is suitable for diagnostic reactions without the miner band. The enzyme is a high processive 5'-> 3' DNA polymerase that lacks 3'-> 5' exonuclease activity. 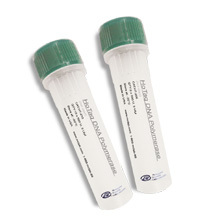 Each lot of HoTaq DNA polymerase is tested for PCR amplification. Here is the result of comparing MCLAB's HoTaq with other leading brands. An E. coli strain that carries the Taq DNA Polymerase gene from Thermus aquaticus (same as Taq DNA Polymerase). 95°C, 10 minutes. -> (95°C, 10 seconds. -> 55°C, 30 seconds. ->72°C, 30 seconds.) for 25 cycles. One unit is defined as the amount of enzyme that will incorporate 10 nmol of dNTPs into acid-insoluble material in 30 minutes at 75°C. 2. Saiki, RK; et al. (1988). "Primer-directed enzymatic amplification of DNA with a thermostable DNA polymerase.". Science 239 (4839): 487–91. doi:10.1126/science.2448875. PMID 2448875. 3. Saiki, RK; et al. (1985). "Enzymatic amplification of beta-globin genomic sequences and restriction site analysis for diagnosis of sickle cell anemia". Science 230 (4732): 1350–4. doi:10.1126/science.2999980. PMID 2999980. 3. Lawyer FC, et al. (1993). "High-level expression, purification, and enzymatic characterization of full-length Thermus aquaticus DNA polymerase ...". 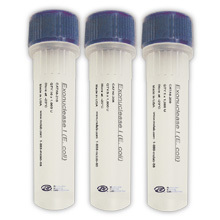 PCR Methods Appl. 2 (4): 275–87. PMID 8324500.